يقع في سارفرس باراديس, Golden Gate Resort إنه المكان الأنسب لاكتشاف جولد كوست و ما يحيطها. يمكن من هنا للضيوف الاستمتاع بسهولة الوصول إلى كل ما تقدمه هذه المدينة النابضة بالحياة. سوف يعشق النزلاء موقع هذا الفندق، فهو قريب من أهم المعالم السياحية في المدينة كمثل King Tutts Putt Put, Adrenalin Park, Slingshot Gold Coast . يعمل Golden Gate Resort على ضمان إقامة مريحة لضيوفه من خلال خدماته الممتازة وحسن ضيافته. يمكن للنزلاء الاستمتاع بالميزات التالية: تأجير واي فاي محمول, خدمات بريدية, خدمة سيارات الأجرة, مرافق مخصصة لذوي الاحتياجات الخاصة, تسجيل وصول/خروج سريع أثناء إقامتهم في هذا المكان الرائع. في Golden Gate Resort غرف نوم يزيد عددها عن 15 صممت بذوق وعناية لتوفر لك كل وسائل الراحة . بعضها يحتوي أضاً على تلفزيون بشاشة مسطحة, اتصال لاسلكي بالإنترنت, حوض الاسترخاء, مكيف هواء, مكتب. يمكنك الاستمتاع بالأجواء المريحة التي تقدمها حمام سباحة خارجي, مسبح (للأطفال), ملعب تنس, حديقة طوال النهار. إن Golden Gate Resort هو خيار ذكي بالنسبة للمسافرين إلى جولد كوست، بما يوفره من إقامة هادئة ومرحة. Pro: Location was good. Close to shops and beach. Size of the room was ok. Con: need renovation. Furniture/ bathroom was old. Pool was very small. Can't really call this place a "RESORT". It's more like a air bnb apartment. Mattress was literally ripped open and I could see inside it. Balcony had dirty/rusted tables and chairs. Not much lighting in the bedrooms and bathrooms. The bathroom and all furniture around the apartment was extremely outdated. Door knobs were falling off and I'm pretty sure someone was going into our room when we weren't there as things were different to how we left it most days (keeping in mind there is no room cleaning service) - lucky we locked our things away every time we left the apartment. Other than it being generally old, we were happy with the location - a 10 minute walk to the centre of surfers - with public transport close by. Our room Hadn't been cleaned since last guest , so we were moved to another room which also hadn't been cleaned and were told it just needed a linen change.... the toilet hadn't even been flushed it was disgusting. We waited the two hours until they cleaned it ... The reception staff was SO RUDE !!? We asked for some towels a couple of days later and were told they were downstairs and to just use our bath towels ... not sure what these people think working in a hotel means but they didn't seem to cover any of the basic things. Didn't get enough toilet paper or dishwashing liquid ... ended up leaving early where the owner said "were gonna get better" I'm still shocked that not one person apologised to us at any point I think that annoyed me the most. No free WiFi is the biggest issue in this apartment. Our group enjoyed the stay in our apartment with stunning views of the beach from our balcony and hinterland from the kitchen! Good space for a two bedroom with two bathrooms! If you wanna choose family apartment on holiday, it will be a nice one! Yes I know that don't state there is air con, but what they have is not sufficient. With young kids leaving the door open was not an option. Would be nice to at least have fans in the room. Other than that the location was great. Apartment was great size, plenty of room. We had a wonderful holiday staying at the Golden Gate Resort. Staff and management were very friendly. The resort grounds were lovely and we thoroughly enjoyed swimming in the outdoor heated pool. The bbq area was very relaxing too! The secure carparking with lift access provided extra convenience. The location is amazing with a new team stop just down the road. We will be back again. Thank you Karen! I enjoyed my stay, I wasn't after the taj mahal just a nice clean apartment that was well located, safe and had good facilities. The golden gate provided all these and was appropriately priced. We stayed in a 2 bedroom apartment which was quite large and had a plenty of room for our 2 boys - with their own bathroom. All the rooms have an ocean view and the hotel is a 1 minute walk to the beach. Free carpark underneath, and the room had Foxtel so the kids watched cartoons to let us have a drink on the balcony. 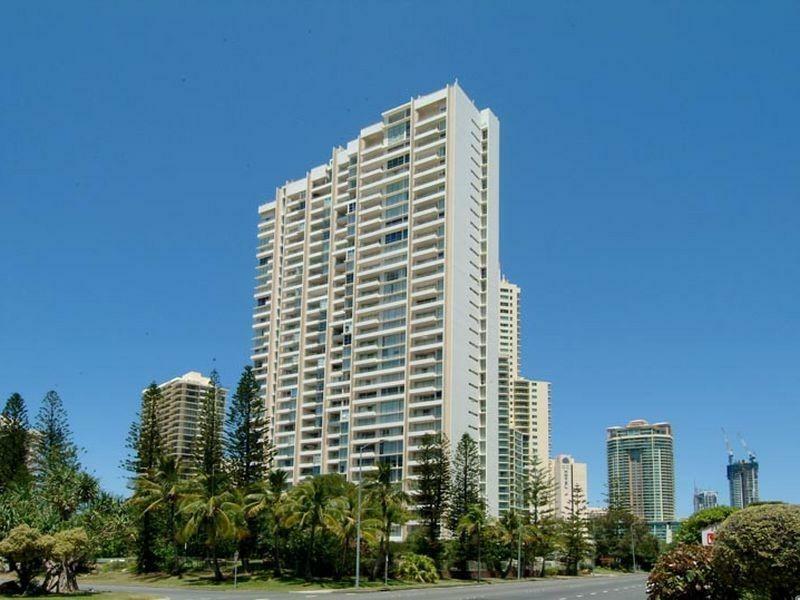 Beautiful views, large rooms, full austar. Overall it was a very pleasant stay but found it hard to find the place with all the road closures due to the gold coast 600 and the roadworks for the new tram system. Then upon arrival they could not find our reservation. The hotel also sported a restaurant and a convenience store that was never open. Therefore it was a confusing but in the end a very enjoyable stay. Our stay was excellent, plenty of space in the apartment for 2 nine yo boys. Pool was great and location was excellent. Great views from the room too. Fine, but very noisy due to ongoing construction work (from 6am to mmidnight most nights). 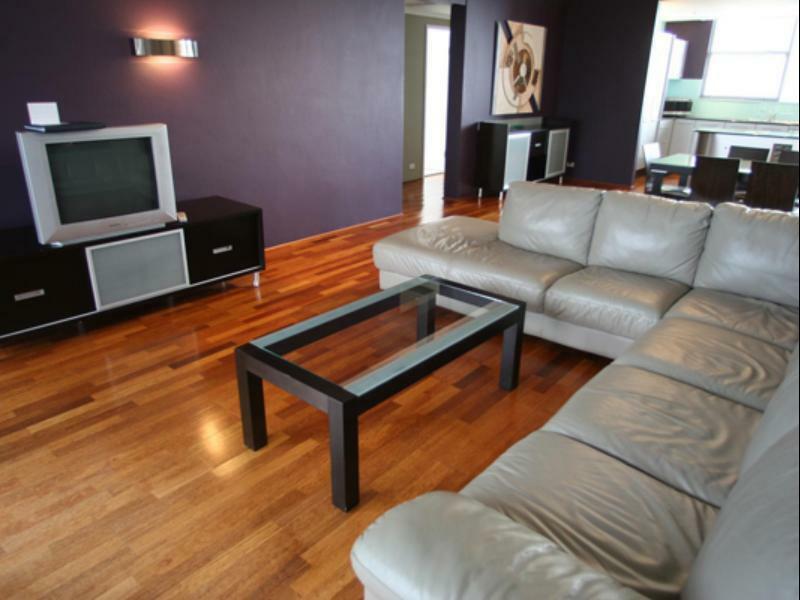 Good self ccontained apartment which wass good value but needed a good clean. Air con didn't really work, nor did the tv in the bedroom. Pedestal fan didn't workbut was easily replaced by mmanagement. A bit old fashioned but close to the beach and CBD. Totally fine if you're not too picky. Our stay at the Golden Gate Resort was really good. We were welcomed at the reception very nicely, and the same when we checked out. Our TV wouldn't work to start with, and maintenance helped to sort this out straight away. I would definitely stay here again. i arrived after a 400km drive about 5.45pm to find that the reception closes at 12 noon on saterday and sunday after finding the after hours number and leaving about 12 messages with no reply i left to get some dinner finely received a call at 7.45 to t5ell me that i could pick up my room key off security after 8pm .the rooms are quite nice and large or though they don't service the rooms during your stay and the hotel is in between 2 main highways so there is always constant traffic noise . 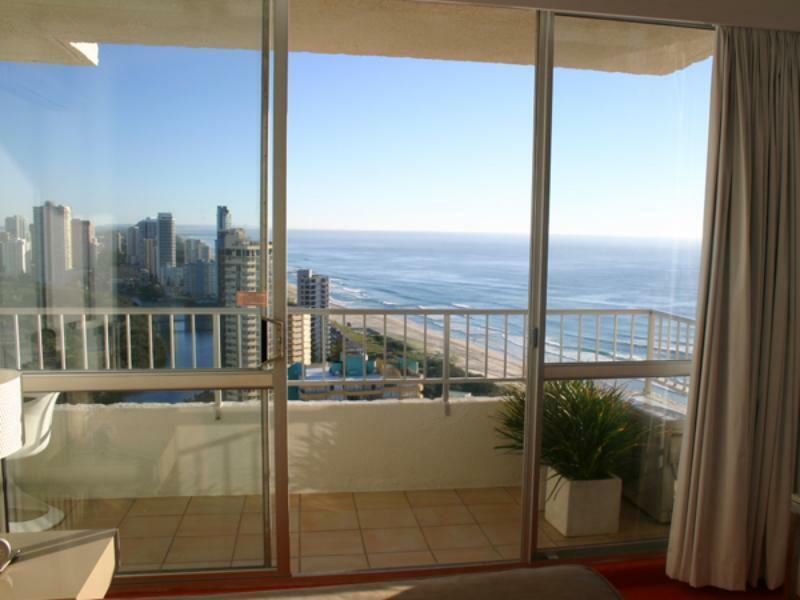 so in all there are much better places to stay on the gold coast for the same money all with better service.